Spencer Dinwiddie gave the Brooklyn Nets a big shot and a big stop, and with those came a big win on Wednesday night against the Detroit Pistons, one that halted a three-game slide after the Nets had split their first four games. "That was the only thing that made this win really big for us was because of the losing streak," said Dinwiddie after the game. "Because of what we're fighting for and trying to be a good team and trying to change the tide of Nets teams of the past. You've got to learn to get out of a rut quickly, because they can string together and it can affect morale." So thanks to Dinwiddie, the Nets are not carrying a four-game losing streak into tonight's game against the Houston Rockets at Barclays Center. They get a reset coming off a comeback win. Trailing by seven with under four minutes to go, they pushed it to overtime on Dinwiddie's 3-pointer, then won it on another Dinwiddie triple, the one that gave him 25 for the game. 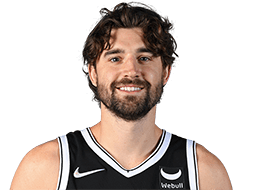 They also got a season-high 23 points from Joe Harris, who made 4-of-7 3-pointers and is shooting 62.8 percent from deep over the last seven games. The Nets made 7-of-17 3-pointers in the fourth quarter and overtime. And this time they finished off the comeback, three nights after coming from 19 down to within two of the defending-champion Golden State Warriors. "We were just resilient," said Atkinson on Wednesday night. "Resilient team. We fought through a lot of missed opportunities. Felt like we had a bunch of opportunities to close it out and we just kept fighting. The last defensive stop was kind of indicative of our toughness tonight. Caris (LeVert) comes up with huge rebound at the end. Spencer gets caught in a switch against one of the best players in the league and does a heck of a job. That's kind of the picture I leave from this game. They're a heck of a team. I think they're an excellent team. It's a really good win for us, especially in front of our home crowd." So, turns out Dinwiddie wasn't done after his go-ahead shot over Andre Drummond went through. "There weren't zeroes on the clock, so it wasn't time for me to beat my chest and celebrate," said Dinwiddie after practice on Thursday afternoon. "I fully thought I was going to make it. I made the shot. We're up one. We still need to get a stop. So it's all right. Let's go get the next stop. Finish the game." There were 7.1 seconds left when Detroit inbounded, about the same amount of time that was on the clock a week ago in New Orleans. And the Pistons quickly got the ball to Blake Griffin, who came in to the game averaging 27.7 points and finished with 25. Dinwiddie ended up stopping him from getting to his average. "We got more aggressive," said Atkinson. "The last play it was obvious, we switched everything. Instead of giving up that mid-range shot, we kind of stepped up our bigs and made them see our big. We didn't want them to get mid-range shots off, so that was a bit of a change." 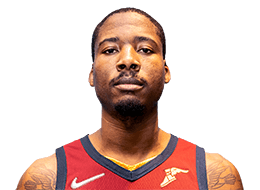 It was the 6-foot-6, 210-pound Dinwiddie who found himself isolated against the 6-10, 250-pound Griffin. "We caught the switch," said Dinwiddie after the game. "I believe it was seven seconds or so when they started running the play. They caught the switch, tried to back me down — I lift, so credit (Nets Director of Sport Science) Dan Meehan on that, you know, — and then obviously I saw the second back down — lift again — and he peeked at the clock, I had a pretty good idea it was running down. So when he turned, he only had one option to shoot it so I was able to get a good contest. It's more a product of probably the condensed time period versus me just stopping Blake. If you gave him unlimited dribbles and a full shot clock, I'm sure he'd probably back me down to the basket." The Nets enter the ninth game of the season with an offensive rating of 108.0, ranked 17th in the NBA. That's up from the 22nd ranking and 106.0 mark they closed the 2017-18 season with. They're also 12th in the league in effective field goal percentage (53.2). Even with the updates they made to the offense, they're still hunting largely the same shots -- 3-pointers and drives to the rim. "That's the formula," said Atkinson. "We're trying to find that perfect balance. We're not out here to shoot 60 threes. We're out there to find the balance between the threes and the rim attacks. I do remember the one, Joe, you know, I've got to tell Joe, he is allowed to shoot a pull-up jumper instead of running into Drummond and charging over him. We've got to make that clear to Joe. Sometimes these guys, they think I'm going to get mad at them for shooting a pull-up." One area is somehow the same, but different. The Nets are playing slightly off last year's pace -- the number of possessions per game 48 minutes -- with a measure of 99.21 compared to last season's 99.74. The big difference? Everybody else in the league is playing a lot faster. At the end of the 2017-18 season, five teams had a pace of 100 or more. Two weeks into this year, 26 have a pace of at least 100. So while playing at roughly the same tempo, the Nets have gone from sixth in the category to 28th. Aside from the fact that James Harden has been out the last few games, nobody seems to be quite sure what's happened to the Rockets. The league leader in offensive rating last season behind the MVP Harden, Houston is 25th this season, and the same in defensive rating as well. That has left the Rockets 27th in net rating. Western Conference finalists a year ago with the league's best record, Houston has started 1-5 after Tuesday's 104-85 loss to Portland. Harden has missed the last two games with a hamstring injury. 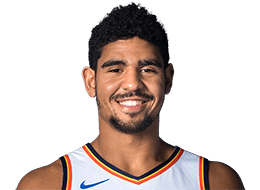 In the four games he played he's averaging 28.5 points, 9.0 assists and 6.3 rebounds per game while shooting 44.1 percent from 3-point range. Game between the Brooklyn Nets and the Orlando Magic played on Fri July 6th 2018. The Magic beat the Nets 86 to 80. Shawn Dawson led the scoring with 19 points, Semaj Christon led in assists with 4 assists, and James Webb III led by grabbing 8 rebounds. Game between the Oklahoma City Thunder and the Brooklyn Nets played on Sat July 7th 2018. The Thunder beat the Nets 90 to 76. 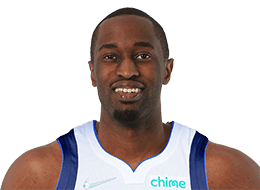 Theo Pinson led the scoring with 16 points, Jordan McLaughlin led in assists with 6 assists, and Trevor Thompson led by grabbing 7 rebounds. Game between the Brooklyn Nets and the Minnesota Timberwolves played on Mon July 9th 2018. 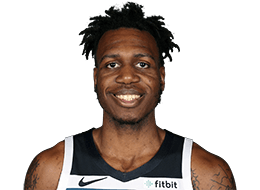 The Timberwolves beat the Nets 78 to 69. Yuta Watanabe led the scoring with 14 points, Jordan McLaughlin led in assists with 5 assists, and Jarrett Allen led by grabbing 12 rebounds. Game between the Brooklyn Nets and the Houston Rockets played on Wed July 11th 2018. The Rockets beat the Nets 109 to 102. Milton Doyle led the scoring with 21 points, Milton Doyle led in assists with 6 assists, and Jarrett Allen led by grabbing 11 rebounds. Game between the Brooklyn Nets and the Indiana Pacers played on Fri July 13th 2018. The Pacers beat the Nets 116 to 79. Tyler Davis led the scoring with 19 points, Jordan McLaughlin led in assists with 5 assists, and Trevor Thompson led by grabbing 9 rebounds. Game between the New York Knicks and the Brooklyn Nets played on Wed October 3rd 2018. The Knicks beat the Nets 107 to 102. Caris LeVert led the scoring with 15 points, Spencer Dinwiddie led in assists with 6 assists, and Treveon Graham led by grabbing 9 rebounds. Game between the Brooklyn Nets and the Detroit Pistons played on Mon October 8th 2018. The Nets beat the Pistons 110 to 108. D'Angelo Russell led the scoring with 25 points, Caris LeVert led in assists with 8 assists, and Ed Davis led by grabbing 10 rebounds. Game between the Brooklyn Nets and the Toronto Raptors played on Wed October 10th 2018. The Raptors beat the Nets 118 to 91. Jarrett Allen led the scoring with 24 points, Spencer Dinwiddie led in assists with 8 assists, and D'Angelo Russell led by grabbing 7 rebounds. Game between the Brooklyn Nets and the New York Knicks played on Fri October 12th 2018. The Nets beat the Knicks 113 to 107. Spencer Dinwiddie led the scoring with 19 points, D'Angelo Russell led in assists with 8 assists, and Ed Davis led by grabbing 8 rebounds. Game between the Brooklyn Nets and the Detroit Pistons played on Wed October 17th 2018. The Pistons beat the Nets 103 to 100. Caris LeVert led the scoring with 27 points, Spencer Dinwiddie led in assists with 6 assists, and Jarrett Allen led by grabbing 10 rebounds. Game between the New York Knicks and the Brooklyn Nets played on Fri October 19th 2018. The Nets beat the Knicks 107 to 105. Caris LeVert led the scoring with 28 points, D'Angelo Russell led in assists with 6 assists, and Jarrett Allen led by grabbing 11 rebounds. Game between the Brooklyn Nets and the Indiana Pacers played on Sat October 20th 2018. The Pacers beat the Nets 132 to 112. Joe Harris led the scoring with 19 points, D'Angelo Russell led in assists with 7 assists, and Ed Davis led by grabbing 8 rebounds. Game between the Brooklyn Nets and the Cleveland Cavaliers played on Wed October 24th 2018. The Nets beat the Cavaliers 102 to 86. D'Angelo Russell led the scoring with 18 points, D'Angelo Russell led in assists with 8 assists, and Ed Davis led by grabbing 10 rebounds. Game between the Brooklyn Nets and the New Orleans Pelicans played on Fri October 26th 2018. 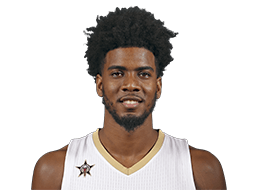 The Pelicans beat the Nets 117 to 115. D'Angelo Russell led the scoring with 24 points, Spencer Dinwiddie led in assists with 5 assists, and Ed Davis led by grabbing 11 rebounds. Game between the Golden State Warriors and the Brooklyn Nets played on Sun October 28th 2018. The Warriors beat the Nets 120 to 114. D'Angelo Russell led the scoring with 25 points, Caris LeVert led in assists with 7 assists, and Ed Davis led by grabbing 7 rebounds. Game between the Brooklyn Nets and the New York Knicks played on Mon October 29th 2018. The Knicks beat the Nets 115 to 96. Spencer Dinwiddie led the scoring with 17 points, Caris LeVert led in assists with 5 assists, and Rondae Hollis-Jefferson led by grabbing 7 rebounds. Game between the Detroit Pistons and the Brooklyn Nets played on Wed October 31st 2018. The Nets beat the Pistons 120 to 119. Spencer Dinwiddie led the scoring with 25 points, Caris LeVert led in assists with 6 assists, and Ed Davis led by grabbing 10 rebounds. 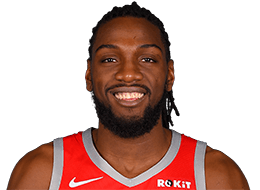 Game between the Houston Rockets and the Brooklyn Nets played on Fri November 2nd 2018. The Rockets beat the Nets 119 to 111. Caris LeVert led the scoring with 29 points, Joe Harris led in assists with 4 assists, and Jarrett Allen led by grabbing 8 rebounds. Game between the Philadelphia 76ers and the Brooklyn Nets played on Sun November 4th 2018. The Nets beat the 76ers 122 to 97. D'Angelo Russell led the scoring with 21 points, Spencer Dinwiddie led in assists with 8 assists, and Jarrett Allen led by grabbing 10 rebounds. Game between the Brooklyn Nets and the Phoenix Suns played on Tue November 6th 2018. The Nets beat the Suns 104 to 82. Caris LeVert led the scoring with 26 points, Jarrett Allen led in assists with 5 assists, and Ed Davis led by grabbing 12 rebounds. Game between the Brooklyn Nets and the Denver Nuggets played on Fri November 9th 2018. The Nets beat the Nuggets 112 to 110. D'Angelo Russell led the scoring with 23 points, Spencer Dinwiddie led in assists with 6 assists, and Jarrett Allen led by grabbing 9 rebounds. Game between the Brooklyn Nets and the Golden State Warriors played on Sat November 10th 2018. The Warriors beat the Nets 116 to 100. Joe Harris led the scoring with 24 points, Spencer Dinwiddie led in assists with 6 assists, and Jarrett Allen led by grabbing 7 rebounds. Game between the Brooklyn Nets and the Minnesota Timberwolves played on Mon November 12th 2018. The Timberwolves beat the Nets 120 to 113. D'Angelo Russell led the scoring with 31 points, D'Angelo Russell led in assists with 6 assists, and Ed Davis led by grabbing 14 rebounds. Game between the Miami Heat and the Brooklyn Nets played on Wed November 14th 2018. The Heat beat the Nets 120 to 107. Spencer Dinwiddie led the scoring with 18 points, D'Angelo Russell led in assists with 5 assists, and Ed Davis led by grabbing 9 rebounds. Game between the Brooklyn Nets and the Washington Wizards played on Fri November 16th 2018. The Nets beat the Wizards 115 to 104. Spencer Dinwiddie led the scoring with 25 points, Spencer Dinwiddie led in assists with 8 assists, and Jarrett Allen led by grabbing 12 rebounds. Game between the LA Clippers and the Brooklyn Nets played on Sat November 17th 2018. The Clippers beat the Nets 127 to 119. 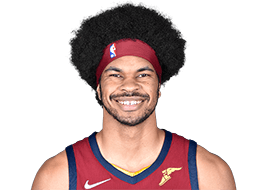 Jarrett Allen led the scoring with 24 points, D'Angelo Russell led in assists with 10 assists, and Jarrett Allen led by grabbing 11 rebounds. Game between the Brooklyn Nets and the Miami Heat played on Tue November 20th 2018. The Nets beat the Heat 104 to 92. D'Angelo Russell led the scoring with 20 points, Spencer Dinwiddie led in assists with 7 assists, and Jarrett Allen led by grabbing 14 rebounds. Game between the Brooklyn Nets and the Dallas Mavericks played on Wed November 21st 2018. The Mavericks beat the Nets 119 to 113. Allen Crabbe led the scoring with 27 points, Spencer Dinwiddie led in assists with 7 assists, and Ed Davis led by grabbing 9 rebounds. Game between the Minnesota Timberwolves and the Brooklyn Nets played on Fri November 23rd 2018. The Timberwolves beat the Nets 112 to 102. Joe Harris led the scoring with 18 points, Spencer Dinwiddie led in assists with 8 assists, and DeMarre Carroll led by grabbing 7 rebounds. Game between the Philadelphia 76ers and the Brooklyn Nets played on Sun November 25th 2018. The 76ers beat the Nets 127 to 125. D'Angelo Russell led the scoring with 38 points, D'Angelo Russell led in assists with 8 assists, and Jarrett Allen led by grabbing 10 rebounds. Game between the Utah Jazz and the Brooklyn Nets played on Wed November 28th 2018. The Jazz beat the Nets 101 to 91. Spencer Dinwiddie led the scoring with 18 points, D'Angelo Russell led in assists with 7 assists, and Rondae Hollis-Jefferson led by grabbing 11 rebounds. Game between the Memphis Grizzlies and the Brooklyn Nets played on Fri November 30th 2018. The Grizzlies beat the Nets 131 to 125. D'Angelo Russell led the scoring with 26 points, D'Angelo Russell led in assists with 8 assists, and Jarrett Allen led by grabbing 12 rebounds. Game between the Brooklyn Nets and the Washington Wizards played on Sat December 1st 2018. The Wizards beat the Nets 102 to 88. 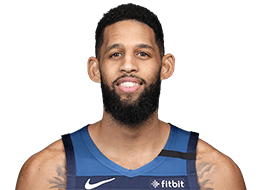 Allen Crabbe led the scoring with 14 points, Spencer Dinwiddie led in assists with 8 assists, and Rondae Hollis-Jefferson led by grabbing 8 rebounds. Game between the Cleveland Cavaliers and the Brooklyn Nets played on Mon December 3rd 2018. The Cavaliers beat the Nets 99 to 97. D'Angelo Russell led the scoring with 30 points, D'Angelo Russell led in assists with 6 assists, and Ed Davis led by grabbing 10 rebounds. 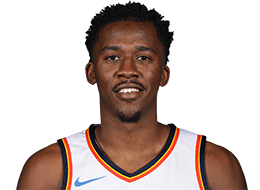 Game between the Oklahoma City Thunder and the Brooklyn Nets played on Wed December 5th 2018. The Thunder beat the Nets 114 to 112. 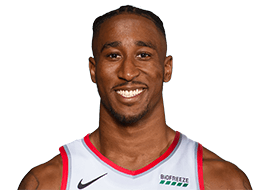 Allen Crabbe led the scoring with 22 points, Rondae Hollis-Jefferson led in assists with 6 assists, and Rondae Hollis-Jefferson led by grabbing 9 rebounds. Game between the Toronto Raptors and the Brooklyn Nets played on Fri December 7th 2018. The Nets beat the Raptors 106 to 105. D'Angelo Russell led the scoring with 29 points, Spencer Dinwiddie led in assists with 8 assists, and Ed Davis led by grabbing 15 rebounds. Game between the Brooklyn Nets and the New York Knicks played on Sat December 8th 2018. The Nets beat the Knicks 112 to 104. Spencer Dinwiddie led the scoring with 25 points, D'Angelo Russell led in assists with 11 assists, and Jarrett Allen led by grabbing 12 rebounds. Game between the Brooklyn Nets and the Philadelphia 76ers played on Wed December 12th 2018. The Nets beat the 76ers 127 to 124. Spencer Dinwiddie led the scoring with 39 points, D'Angelo Russell led in assists with 7 assists, and Ed Davis led by grabbing 10 rebounds. Game between the Washington Wizards and the Brooklyn Nets played on Fri December 14th 2018. The Nets beat the Wizards 125 to 118. Spencer Dinwiddie led the scoring with 27 points, D'Angelo Russell led in assists with 9 assists, and Rondae Hollis-Jefferson led by grabbing 9 rebounds. Game between the Atlanta Hawks and the Brooklyn Nets played on Sun December 16th 2018. The Nets beat the Hawks 144 to 127. D'Angelo Russell led the scoring with 32 points, D'Angelo Russell led in assists with 7 assists, and Ed Davis led by grabbing 10 rebounds. Game between the Los Angeles Lakers and the Brooklyn Nets played on Tue December 18th 2018. The Nets beat the Lakers 115 to 110. D'Angelo Russell led the scoring with 22 points, D'Angelo Russell led in assists with 13 assists, and Rondae Hollis-Jefferson led by grabbing 8 rebounds. Game between the Brooklyn Nets and the Chicago Bulls played on Wed December 19th 2018. The Nets beat the Bulls 96 to 93. Spencer Dinwiddie led the scoring with 27 points, Joe Harris led in assists with 4 assists, and Jarrett Allen led by grabbing 12 rebounds. 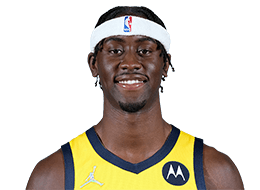 Game between the Indiana Pacers and the Brooklyn Nets played on Fri December 21st 2018. The Pacers beat the Nets 114 to 106. Rodions Kurucs led the scoring with 24 points, D'Angelo Russell led in assists with 9 assists, and Ed Davis led by grabbing 10 rebounds. Game between the Phoenix Suns and the Brooklyn Nets played on Sun December 23rd 2018. The Nets beat the Suns 111 to 103. Spencer Dinwiddie led the scoring with 24 points, D'Angelo Russell led in assists with 8 assists, and Rodions Kurucs led by grabbing 10 rebounds. Game between the Charlotte Hornets and the Brooklyn Nets played on Wed December 26th 2018. The Nets beat the Hornets 134 to 132. 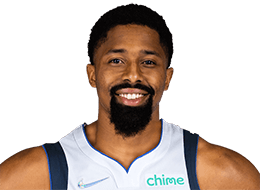 Spencer Dinwiddie led the scoring with 37 points, Spencer Dinwiddie led in assists with 11 assists, and Rondae Hollis-Jefferson led by grabbing 15 rebounds. Game between the Brooklyn Nets and the Charlotte Hornets played on Fri December 28th 2018. The Hornets beat the Nets 100 to 87. D'Angelo Russell led the scoring with 33 points, Spencer Dinwiddie led in assists with 5 assists, and Ed Davis led by grabbing 11 rebounds. Game between the Brooklyn Nets and the Milwaukee Bucks played on Sat December 29th 2018. The Bucks beat the Nets 129 to 115. 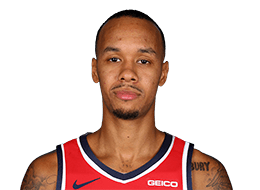 Shabazz Napier led the scoring with 32 points, Shabazz Napier led in assists with 7 assists, and Kenneth Faried led by grabbing 10 rebounds. Game between the New Orleans Pelicans and the Brooklyn Nets played on Wed January 2nd 2019. The Nets beat the Pelicans 126 to 121. D'Angelo Russell led the scoring with 22 points, D'Angelo Russell led in assists with 13 assists, and Ed Davis led by grabbing 12 rebounds. Game between the Brooklyn Nets and the Memphis Grizzlies played on Fri January 4th 2019. The Nets beat the Grizzlies 109 to 100. D'Angelo Russell led the scoring with 23 points, D'Angelo Russell led in assists with 10 assists, and Jarrett Allen led by grabbing 12 rebounds. Game between the Brooklyn Nets and the Chicago Bulls played on Sun January 6th 2019. The Nets beat the Bulls 117 to 100. D'Angelo Russell led the scoring with 28 points, D'Angelo Russell led in assists with 5 assists, and Ed Davis led by grabbing 13 rebounds. Game between the Brooklyn Nets and the Boston Celtics played on Mon January 7th 2019. The Celtics beat the Nets 116 to 95. 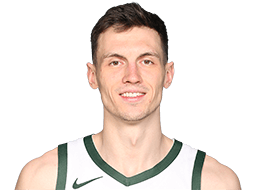 Rodions Kurucs led the scoring with 24 points, Shabazz Napier led in assists with 6 assists, and Kenneth Faried led by grabbing 12 rebounds. Game between the Atlanta Hawks and the Brooklyn Nets played on Wed January 9th 2019. The Nets beat the Hawks 116 to 100. D'Angelo Russell led the scoring with 23 points, Spencer Dinwiddie led in assists with 5 assists, and Ed Davis led by grabbing 16 rebounds. Game between the Brooklyn Nets and the Toronto Raptors played on Fri January 11th 2019. The Raptors beat the Nets 122 to 105. D'Angelo Russell led the scoring with 24 points, D'Angelo Russell led in assists with 9 assists, and Jarrett Allen led by grabbing 12 rebounds. Game between the Boston Celtics and the Brooklyn Nets played on Mon January 14th 2019. The Nets beat the Celtics 109 to 102. 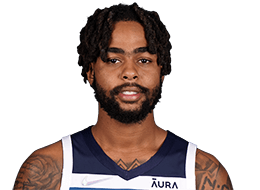 D'Angelo Russell led the scoring with 34 points, D'Angelo Russell led in assists with 7 assists, and DeMarre Carroll led by grabbing 14 rebounds. Game between the Brooklyn Nets and the Houston Rockets played on Wed January 16th 2019. The Nets beat the Rockets 145 to 142. Spencer Dinwiddie led the scoring with 33 points, Spencer Dinwiddie led in assists with 10 assists, and Jarrett Allen led by grabbing 24 rebounds. Game between the Brooklyn Nets and the Orlando Magic played on Fri January 18th 2019. The Nets beat the Magic 117 to 115. D'Angelo Russell led the scoring with 40 points, D'Angelo Russell led in assists with 7 assists, and Jarrett Allen led by grabbing 10 rebounds. Game between the Sacramento Kings and the Brooklyn Nets played on Mon January 21st 2019. The Nets beat the Kings 123 to 94. D'Angelo Russell led the scoring with 31 points, D'Angelo Russell led in assists with 8 assists, and Ed Davis led by grabbing 16 rebounds. Game between the Orlando Magic and the Brooklyn Nets played on Wed January 23rd 2019. The Nets beat the Magic 114 to 110. Spencer Dinwiddie led the scoring with 29 points, D'Angelo Russell led in assists with 10 assists, and Jarrett Allen led by grabbing 11 rebounds. Game between the New York Knicks and the Brooklyn Nets played on Fri January 25th 2019. The Nets beat the Knicks 109 to 99. Theo Pinson led the scoring with 19 points, D'Angelo Russell led in assists with 4 assists, and Ed Davis led by grabbing 16 rebounds. Game between the Brooklyn Nets and the Boston Celtics played on Mon January 28th 2019. The Celtics beat the Nets 112 to 104. D'Angelo Russell led the scoring with 25 points, Shabazz Napier led in assists with 5 assists, and Ed Davis led by grabbing 11 rebounds. Game between the Chicago Bulls and the Brooklyn Nets played on Tue January 29th 2019. The Nets beat the Bulls 122 to 117. D'Angelo Russell led the scoring with 30 points, D'Angelo Russell led in assists with 7 assists, and Jarrett Allen led by grabbing 8 rebounds. Game between the Brooklyn Nets and the San Antonio Spurs played on Thu January 31st 2019. The Spurs beat the Nets 117 to 114. D'Angelo Russell led the scoring with 25 points, D'Angelo Russell led in assists with 9 assists, and Ed Davis led by grabbing 11 rebounds. Game between the Brooklyn Nets and the Orlando Magic played on Sat February 2nd 2019. The Magic beat the Nets 102 to 89. D'Angelo Russell led the scoring with 23 points, D'Angelo Russell led in assists with 6 assists, and Ed Davis led by grabbing 16 rebounds. Game between the Milwaukee Bucks and the Brooklyn Nets played on Mon February 4th 2019. The Bucks beat the Nets 113 to 94. D'Angelo Russell led the scoring with 18 points, D'Angelo Russell led in assists with 5 assists, and Jarrett Allen led by grabbing 11 rebounds. Game between the Denver Nuggets and the Brooklyn Nets played on Wed February 6th 2019. The Nets beat the Nuggets 135 to 130. D'Angelo Russell led the scoring with 27 points, D'Angelo Russell led in assists with 11 assists, and DeMarre Carroll led by grabbing 10 rebounds. 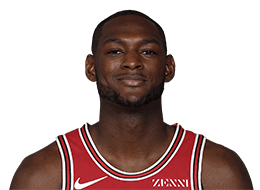 Game between the Chicago Bulls and the Brooklyn Nets played on Fri February 8th 2019. The Bulls beat the Nets 125 to 106. D'Angelo Russell led the scoring with 23 points, D'Angelo Russell led in assists with 6 assists, and Jarrett Allen led by grabbing 10 rebounds. Game between the Brooklyn Nets and the Toronto Raptors played on Mon February 11th 2019. The Raptors beat the Nets 127 to 125. D'Angelo Russell led the scoring with 28 points, D'Angelo Russell led in assists with 14 assists, and D'Angelo Russell led by grabbing 7 rebounds. Game between the Brooklyn Nets and the Cleveland Cavaliers played on Wed February 13th 2019. The Nets beat the Cavaliers 148 to 139. D'Angelo Russell led the scoring with 36 points, Caris LeVert led in assists with 9 assists, and Jarrett Allen led by grabbing 12 rebounds. Game between the Portland Trail Blazers and the Brooklyn Nets played on Thu February 21st 2019. The Trail Blazers beat the Nets 113 to 99. 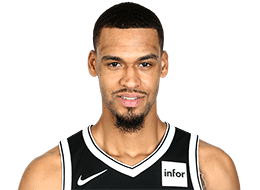 Allen Crabbe led the scoring with 17 points, Shabazz Napier led in assists with 10 assists, and Jarrett Allen led by grabbing 11 rebounds. Game between the Brooklyn Nets and the Charlotte Hornets played on Sat February 23rd 2019. The Nets beat the Hornets 117 to 115. D'Angelo Russell led the scoring with 40 points, D'Angelo Russell led in assists with 7 assists, and Jarrett Allen led by grabbing 11 rebounds. Game between the San Antonio Spurs and the Brooklyn Nets played on Mon February 25th 2019. The Nets beat the Spurs 101 to 85. D'Angelo Russell led the scoring with 23 points, D'Angelo Russell led in assists with 8 assists, and DeMarre Carroll led by grabbing 12 rebounds. Game between the Washington Wizards and the Brooklyn Nets played on Wed February 27th 2019. The Wizards beat the Nets 125 to 116. D'Angelo Russell led the scoring with 28 points, D'Angelo Russell led in assists with 7 assists, and Treveon Graham led by grabbing 7 rebounds. Game between the Charlotte Hornets and the Brooklyn Nets played on Fri March 1st 2019. The Hornets beat the Nets 123 to 112. D'Angelo Russell led the scoring with 22 points, D'Angelo Russell led in assists with 9 assists, and Joe Harris led by grabbing 7 rebounds. Game between the Brooklyn Nets and the Miami Heat played on Sat March 2nd 2019. The Heat beat the Nets 117 to 88. Joe Harris led the scoring with 15 points, D'Angelo Russell led in assists with 8 assists, and Rodions Kurucs led by grabbing 7 rebounds. Game between the Dallas Mavericks and the Brooklyn Nets played on Mon March 4th 2019. The Nets beat the Mavericks 127 to 88. 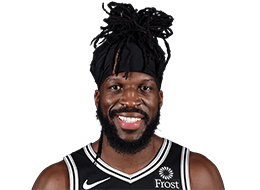 DeMarre Carroll led the scoring with 22 points, D'Angelo Russell led in assists with 11 assists, and Ed Davis led by grabbing 10 rebounds. Game between the Cleveland Cavaliers and the Brooklyn Nets played on Wed March 6th 2019. The Nets beat the Cavaliers 113 to 107. Spencer Dinwiddie led the scoring with 28 points, D'Angelo Russell led in assists with 5 assists, and Ed Davis led by grabbing 12 rebounds. Game between the Brooklyn Nets and the Atlanta Hawks played on Sat March 9th 2019. The Nets beat the Hawks 114 to 112. Spencer Dinwiddie led the scoring with 23 points, Spencer Dinwiddie led in assists with 7 assists, and Jarrett Allen led by grabbing 12 rebounds. Game between the Detroit Pistons and the Brooklyn Nets played on Mon March 11th 2019. The Nets beat the Pistons 103 to 75. Spencer Dinwiddie led the scoring with 19 points, D'Angelo Russell led in assists with 7 assists, and Allen Crabbe led by grabbing 10 rebounds. Game between the Brooklyn Nets and the Oklahoma City Thunder played on Wed March 13th 2019. The Thunder beat the Nets 108 to 96. Spencer Dinwiddie led the scoring with 25 points, D'Angelo Russell led in assists with 7 assists, and Ed Davis led by grabbing 11 rebounds. Game between the Brooklyn Nets and the Utah Jazz played on Sat March 16th 2019. The Jazz beat the Nets 114 to 98. Spencer Dinwiddie led the scoring with 22 points, Caris LeVert led in assists with 4 assists, and Ed Davis led by grabbing 11 rebounds. Game between the Brooklyn Nets and the LA Clippers played on Sun March 17th 2019. The Clippers beat the Nets 119 to 116. D'Angelo Russell led the scoring with 32 points, D'Angelo Russell led in assists with 10 assists, and Jarrett Allen led by grabbing 11 rebounds. Game between the Brooklyn Nets and the Sacramento Kings played on Tue March 19th 2019. The Nets beat the Kings 123 to 121. D'Angelo Russell led the scoring with 44 points, D'Angelo Russell led in assists with 12 assists, and Jarrett Allen led by grabbing 7 rebounds. Game between the Brooklyn Nets and the Los Angeles Lakers played on Fri March 22nd 2019. The Nets beat the Lakers 111 to 106. Joe Harris led the scoring with 26 points, D'Angelo Russell led in assists with 13 assists, and Ed Davis led by grabbing 15 rebounds. Game between the Brooklyn Nets and the Portland Trail Blazers played on Mon March 25th 2019. The Trail Blazers beat the Nets 148 to 144. D'Angelo Russell led the scoring with 39 points, D'Angelo Russell led in assists with 8 assists, and Ed Davis led by grabbing 14 rebounds. Game between the Brooklyn Nets and the Philadelphia 76ers played on Thu March 28th 2019. The 76ers beat the Nets 123 to 110. Joe Harris led the scoring with 22 points, D'Angelo Russell led in assists with 8 assists, and Rondae Hollis-Jefferson led by grabbing 10 rebounds. Game between the Boston Celtics and the Brooklyn Nets played on Sat March 30th 2019. The Nets beat the Celtics 110 to 96. D'Angelo Russell led the scoring with 29 points, D'Angelo Russell led in assists with 10 assists, and Joe Harris led by grabbing 8 rebounds. Game between the Milwaukee Bucks and the Brooklyn Nets played on Mon April 1st 2019. The Bucks beat the Nets 131 to 121. D'Angelo Russell led the scoring with 28 points, Caris LeVert led in assists with 6 assists, and Ed Davis led by grabbing 14 rebounds. Game between the Toronto Raptors and the Brooklyn Nets played on Wed April 3rd 2019. The Raptors beat the Nets 115 to 105. D'Angelo Russell led the scoring with 27 points, D'Angelo Russell led in assists with 6 assists, and Jarrett Allen led by grabbing 9 rebounds. Game between the Brooklyn Nets and the Milwaukee Bucks played on Sat April 6th 2019. The Nets beat the Bucks 133 to 128. D'Angelo Russell led the scoring with 25 points, D'Angelo Russell led in assists with 10 assists, and Jarrett Allen led by grabbing 7 rebounds. Game between the Brooklyn Nets and the Indiana Pacers played on Sun April 7th 2019. The Nets beat the Pacers 108 to 96. D'Angelo Russell led the scoring with 20 points, D'Angelo Russell led in assists with 6 assists, and Rodions Kurucs led by grabbing 7 rebounds. Game between the Miami Heat and the Brooklyn Nets played on Wed April 10th 2019. The Nets beat the Heat 113 to 94. D'Angelo Russell led the scoring with 21 points, D'Angelo Russell led in assists with 5 assists, and Jarrett Allen led by grabbing 14 rebounds. Game between the Brooklyn Nets and the Philadelphia 76ers played on Sat April 13th 2019. The Nets beat the 76ers 111 to 102. D'Angelo Russell led the scoring with 26 points, D'Angelo Russell led in assists with 4 assists, and Ed Davis led by grabbing 16 rebounds. Game between the Brooklyn Nets and the Philadelphia 76ers played on Mon April 15th 2019. The 76ers beat the Nets 145 to 123. Spencer Dinwiddie led the scoring with 19 points, Jarrett Allen led in assists with 4 assists, and Jarrett Allen led by grabbing 6 rebounds. Game between the Philadelphia 76ers and the Brooklyn Nets played on Thu April 18th 2019. The 76ers beat the Nets 131 to 115. D'Angelo Russell led the scoring with 26 points, D'Angelo Russell led in assists with 3 assists, and Caris LeVert led by grabbing 7 rebounds. Game between the Philadelphia 76ers and the Brooklyn Nets played on Sat April 20th 2019. The 76ers beat the Nets 112 to 108. Caris LeVert led the scoring with 25 points, Caris LeVert led in assists with 6 assists, and Jarrett Allen led by grabbing 8 rebounds. Game between the Brooklyn Nets and the Philadelphia 76ers played on Tue April 23rd 2019. The 76ers beat the Nets 122 to 100. Rondae Hollis-Jefferson led the scoring with 21 points, Shabazz Napier led in assists with 10 assists, and Jarrett Allen led by grabbing 9 rebounds.